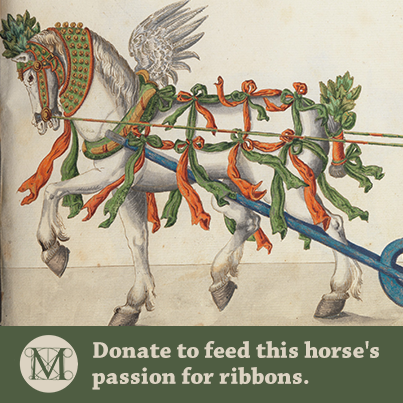 Select landing pages from the Met Museum's 2011 Savage Beauty Exhibition featuring the work of Alexander McQueen. 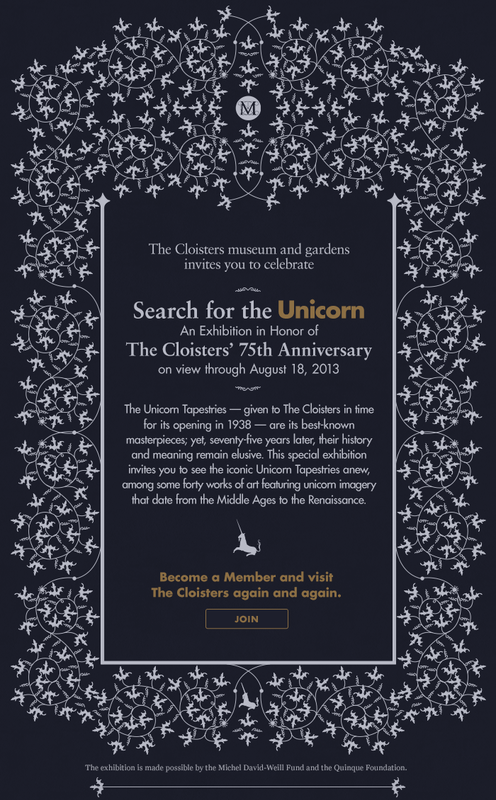 A membership campaign based around the 75th anniversary of the Cloisters museum and gardens, custom illustration inspired by medieval illuminated manuscripts from the Cloisters collection. 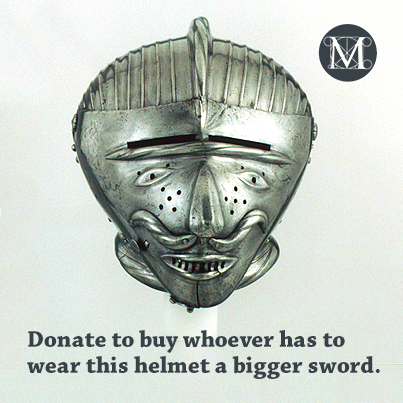 A membership campaign around the Met's 2013 PUNK exhibition. 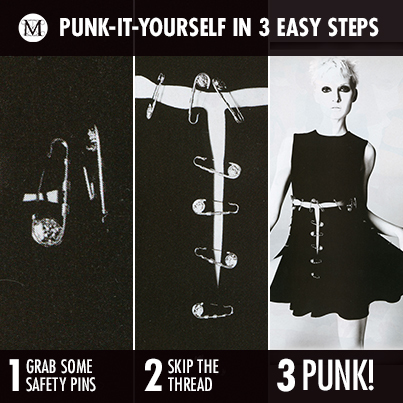 Proposed social media graphics advertising the PUNK exhibition. 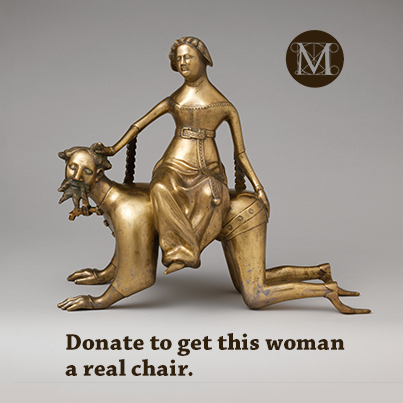 Proposed social media graphics advertising some lesser-known museum pieces and the impact of every dollar. 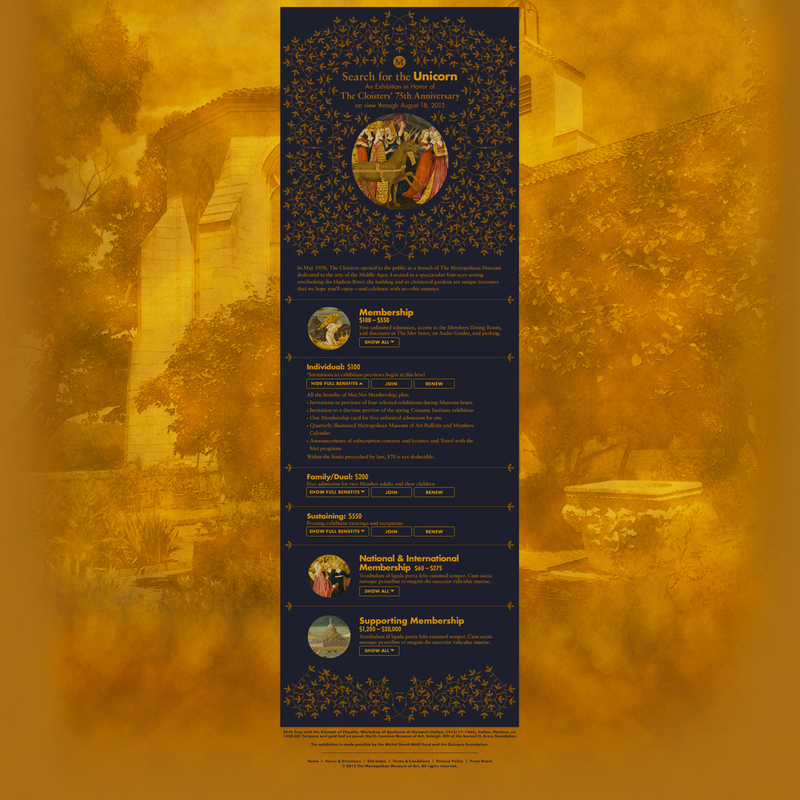 Hannah Volfson is a designer living and working in New York City.